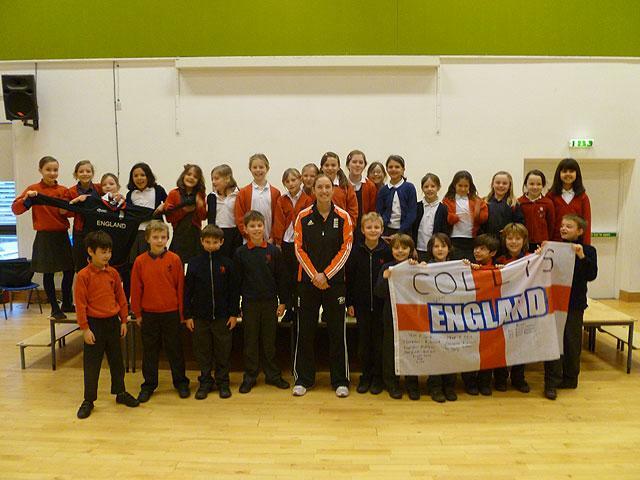 On Monday 23rd January, Beth Morgan came to Collis School. She is a batter for the Women’s English cricket team (but started off as a bowler) and has won many major trophies – including the World Cup and the Ashes. We found out that she started playing cricket at the age of 5, and after joining a club she soon was selected to play for Middx and then went on to represent England. She showed us her shirt, and was number 22. In a few weeks time, Beth is off to play cricket against New Zealand. Make sure you follow how she is getting on!